Contact Prin to start planning your spring or summer wedding music in NJ and NY! 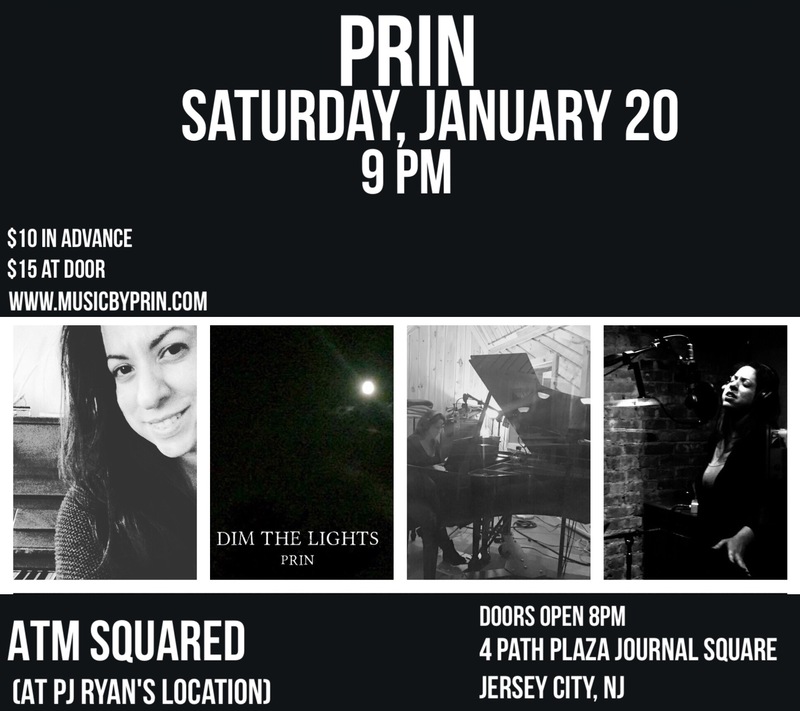 Prin – January 20 @ 9PM in Jersey City, NJ! “The Last One” playing on local FM radio in Michigan! 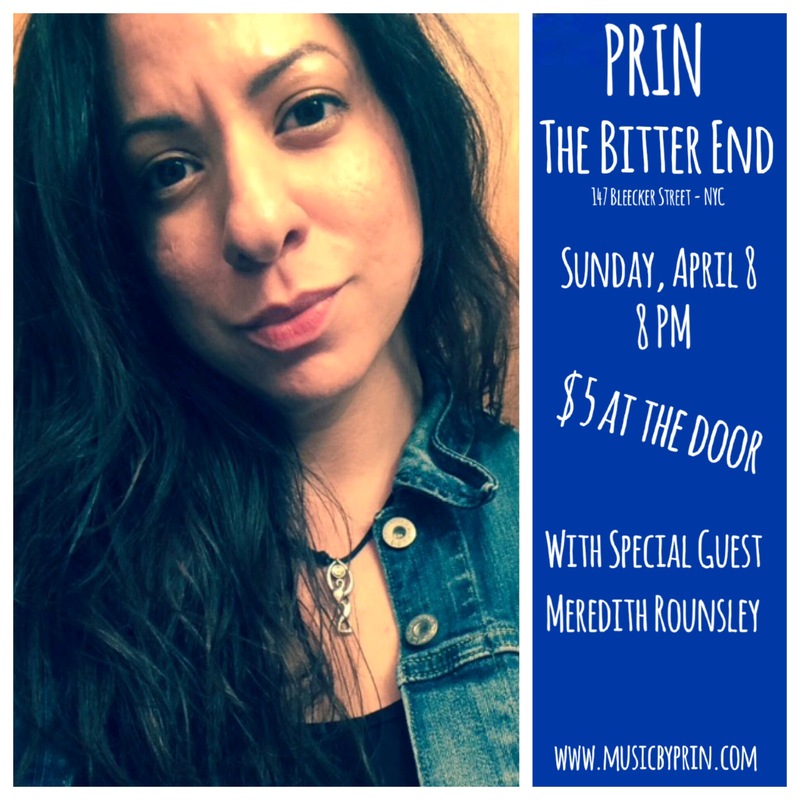 Tune in to the Unsigned with Jill Elinor this Sunday to hear “The Last One” by Prin on Rewind 94.3 FM, a local radio station in Monroe, Michigan!!! Yes, that’s right, FM radio! Vote for “The Last One” on Music for the Cause and help raise awareness for the blood disorder community. “The Last One” is a song from the Dim the Lights album, featuring words and music by Prin. The song was written for her stepdaugher (who is also featured in the background vocals along with Tina Rudnick), and has now been used to support anti-bullying efforts, children with cancer, and other special causes, like blood disorders. After some careful thought, I’ve decided to join Patreon to help support my music and poetry. I create daily, and it’s quite costly to independently share quality recordings of my music or published work. My goal is to express more of what I do in a polished manner, making it more enjoyable to experience new songs and poems. I appreciate any and all support from those who love the arts and love being patrons of the artists who make that art.